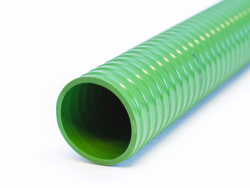 The agricultural industry has always been a large user of flexible tubing solutions for a wide range of applications. Stripwound flexible tubing is particularly well suited to the transfer of granular products of all sorts so it is no surprise that Grain is moved using our products. Not only is the tubing used for the movement of goods from truck to truck, when loading ships and stores it is also used for farming equipment itself for cable protection and various general purpose applications. 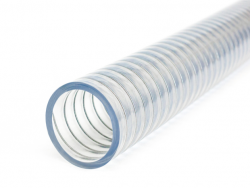 The nature of this industry means that food hygiene concerns are of the highest importance so we offer a variety of products made from Stainless Steel (Type 304 & 316) and a range of polymer hoses that are available in food quality PVC and Polyurethane material.